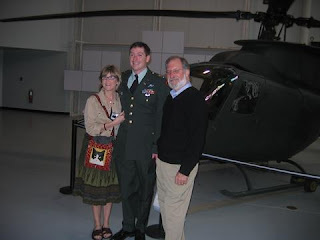 Jon flies helicopters for the Army. He did a year in Iraq (in 2003-4) as a door gunner on a blackhawk, then went to Warrant Officer School and became a pilot last November. Now he flies kiowas. (That’s one in the picture behind him.) We can’t celebrate his 30th with him because he’s finishing up some more training this week and can’t get away. Last night I got out old photo albums from 1977 (yes, he was born two weeks after Elvis died, for what that’s worth) and was brought to tears by what I saw on the first few pages from August of 1977. Pictures of nine different family members holding Jon as a baby … nine people who are no longer with us. During my oldest son’s 30 years I’ve lost both grandmothers, my father’s brother, my father, my husbands’ parents, my last remaining aunt and uncle, and my brother. Seven of those dear people died in the past 9 years, so Jon was able to know them. (I was blessed to be with three of them as they died, thanks to Hospice… but that’s a story for another day.) This day is about sons. And angels. And beaches. Angels? Absolutely. Both of my boys (we’ll get to Jason shortly) are on a list of soldiers’ names that circulates amongst dozens of Orthodox churches. They are prayed for by name at the end of the Liturgy in many of these churches, in a special prayer written by one of our bishops. This was started in March of 2003, when the Iraq invasion began in earnest, and Jon was driving a humvee into Baghdad from Kuwait. There are stories he can tell, of a bomb crashing through the wall of the building he was sleeping in in Mosul, for example, and countless other times he was protected from harm. By these prayers? Absolutely. And angels? For real. At baptism, each Orthodox Christian is given a guardian angel to be with him throughout life. An abbess once told me that monastics get two angels. I think soldiers might get three, but I can’t verify this. 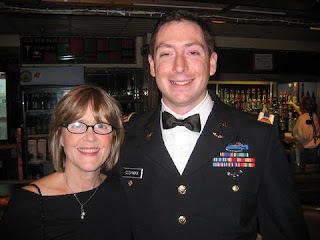 Some of those fam ily deaths I mentioned earlier have been times the Army has let Jon come home… once from Iraq, actually, for his grandmother’s funeral. This past February both boys and our daughter were able to be here for my brother’s funeral, (photo of all of us with my mom after the burial) as they were again in May for their grandfather’s burial at a military cemetery in Chattanooga. One of their cousins was pregnant at this last one and I thought, how appropriate–life goes on. I love to celebrate things, so this past November we went to Jon’s graduation from flight school at Fort Rucker and then took him and four of his friends to the beach at Seagrove for a few days. Amazing place… I’ve been back twice since then (see photos of sunsets at Seagrove in left column of blog.) A few pix of our celeb ration are included here. Bu t that brings to mind another day at the beach … August 28, 2005– I had taken my mother and my daughter to Biloxi to visit my other son, Jason, at Keesler Air Force Base. We took him and his best friend, Ben, out to dinner at an amazing restaurant in an antebellum home… that was destroyed two days later. My mother watched us from the balcony of our hotel (also no lon ger there) and I had my morning coffee and read for a while all of twenty feet from the water’s edge. (tiny photo at right) Beth and I rode jet skis (no photos, thank God!) in the ocean that would destroy property and people for miles around us just 48 hours later. Looking at those pictures now is surreal. Mom, Beth and I drove back to Jackson, Memphis and Knoxville on the 29th, listening to the warnings about Hurricane Katrina on the car radio as we drove. We got out in plenty of time. Jason stayed at Keesler, which took a fairly big hit. In fact, when his group shipped out for their next station in California, he volunteered to stay on and help with the cleanup effort. He physically dragged trees and debris off the airstrips so that planes could bring in supplies for the devastated Gulf coast residents who survived the loss of their homes and more. Jason is still in the Air Force, but he’s also a writer. 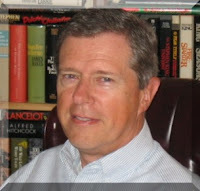 Check out his blog, Scattered Words and Forgotten Meanings, and read about the fantasy novel he’s writing, Sunset of Honor. (He’s a big Robert Jordan fan.) A few of his soulful poems are posted, as well. Oh, since I’m posting pictures, I guess I’ll mention that they’re all three adopted: Jason and Beth are from South Korea and Jon is from Mississippi, where we were living when we adopted each of them. We’re all about diversity. If you read this blog very often, you know how much song lyrics speak to my heart. I always think, “she’s writing that to me,” or “how does she know exactly how I feel or what I’m going through?” (Kind of like the Arlo and Janis comic strips that my husband often brings me with my morning coffee–yes, he really does bring me coffee in bed every morning–and we read them and look at eachother and wonder if our house is under video surveillance or how else would they know so much about us?) Why does this surprise me, that musicians and artists and poets and writers can do this… can give such amazing voice to the stuff of our everday lives? Isn’t that our job? Isn’t that what we’re supposed to do? Are poets the only ones who can name things? Maybe all true artists are poets…. >My favorite thing about Sundays is the Divine Liturgy served at St. John Orthodox Church, which is about six blocks from my home in midtown Memphis. It’s right up there with births and baptisms and weddings and everything that’s sacred and mystical and worth having in this life. From 10-11:30 am, I am transported into the eighth day, and if I’m prepared, I receive life’s greatest miracle—the Body and Blood of Jesus— “entering all my joints, my reins, my heart, cleansing my soul, hallowing my thoughts… enlightening, as one of my five senses….” as St. Simeon the New Theologian’s Euchaaristic Prayer says. Heavenly thoughts for a blog post, but needful, if one is going to write about Sundays. “Rather than pontificating on the state of religion, both [Merton and Day] tried to engage in a conversation with the modern world. Midcentury Catholicism captivated some of the most imaginative writers of the era: Flannery O’Connor, Walker Percy….” Yes! Steinke seems to be offering Gordon’s book as a “third kind of religious book”… an alternative to the extremes offered by Warren and Hitchens. I haven’t read the book yet, but I just printed off the first chapter from the Times’ online webiste, and it’s on my list now. >Move over, Biggest Losers! I just cut 5,500 words from my novel. That only leaves 50,000 words, meaning I just cut 10 per cent of those precious babies I labored with and gave birth to over the past ten months (long pregnancy, huh?). Ouch! But I’m trying to look at this in a healthy way, like how I would feel if I lost 10 per cent of my body fat, which is essentially what happened to the book. So… if I weighed 150 pounds (this is hypothetical) and lost 10 per cent, I’d only weigh 135 pounds. With obesity running rampant in the South, this would be a good thing, right? One big difference here is that I loved those 5500 words that I just cut, and I do not love my extra fat cells at all. Some of those words were beautiful, literary, tear-jerking, inspirational, (you get the picture) … but guess what? They didn’t belong to this novel. Some of them may show up in another book one day, but not here. Not this time. So, how did I get the courage for this fat-removing operation? From my fellow writers, of course. Those who have gone before and have published wonderful, slim, fit, non-obese books, and even lived to tell about it. Like Anne Lamott, who tells stories of similar surgeries her books have survived in her national bestseller, bird by bird: Some Instructions on Writing and Life. Now, I had read about 10 books by writers on writing (see list at end of this post)but until the Mississippi Writers Guild Conference a few weeks ago, I hadn’t heard of this one. Oh, my gosh … anyone reading this blog should click on Amazon.com and order this book immediately! Even after she was a published author, she once spent three years operating on a book until she got it right. Just yesterday I read her description of taking her book and spreading it out on the floor, sections and chapters and paragraphs lined up everywhere. Then she walked around cutting and pasting (literally) and jotting down notes for re-working sections later until she had gotten rid of the fat and put the rest back in working order. Then she picked up the piles of paper and took them back to her computer for re-entering. When I read this I almost cried. It was so close to what I had just done to The Sweet Carolines over the past few weeks. And unlike the process of liposuction where one would not want to save the sucked out blobs of fat to use later, I did save many of these words and images and quotes and carefully researched information in a file to pull from should there ever be a home for them in a future book or short story or essay. Well, not all of them. Some of them really were cellulitic. sigh. So now I’m having a copy of the new, skinnier manuscript printed off for my next “early reader,” into whose hands it will arrive this weekend. She’ll be happy to have a healthier product, I’m sure. My first “early readers” had to wade through the fat. Sorry ’bout that, folks. >My feet are killing me, but it was worth it. Worth the Dance, that is. Sunday afternoon I went to the wedding of a dear friend’s youngest daughter. First of all let me say that Orthodox weddings are amazing… full of sacrament and mystery. The bride and groom wear crowns, symbolizing the little kingdom that their home will be, and also the martyrdom of their lives for one another. The priest, bride and groom, and their sponsors actually hold hands and dance around a table in front of the altar at one point, as the choir sings, “Dance, Isaiah, Dance!” It’s all there—joy and communion and sacrament and beauty and hopefulness. Later at the reception there’s dancing of a different kind. A band plays favorites, old and new, and the pretty young lead singer is soulful and smooth on the ballads and bumps it up a notch on the fast numbers. The dance floor is hopping all evening, with celebrants of all ages enjoying the new couple’s party. Our table is right next to the dance floor, which is a great vantage point for watching … which I plan to do, at least for a while. And then I see her. My dear 85-year-old Greek friend, sitting directly across the table from me, pointing to me and then to herself, and indicating that she wants to dance by shimmying her shoulders to the beat of the music. There’s a twinkle in her eye, even though this really isn’t a good day for her. She has late-stage cancer. I thought she’d had her last dance at her grandson’s wedding. I point to myself and over the loud strains of music I mouth the word, “me?” She nods and I’m up and helping her to the dance floor, fearing that she might even fall down if I don’t hold on tight enough. But she’ll have none of that … after a few minutes of hand-holding she breaks free and moves to the beat with joy and abandon. A few others join us and we’ve got a line going. Then I’m spinning her and we’re laughing and suddenly I’m remembering years of priceless conversations I’ve had with this amazing woman, my unofficial “Yia Yia.” Times when I was down about something in life that I thought was unfair or just too hard. Her words are flowing into my ears, even above the music. Words about always be thankful and trusting God to take care of you and accepting whatever life gives you with joy. Every generation. They’re all here at the wedding feast. Singing “God grant you many years” to the bride and groom and then dancing together with joy. My four-year-old Goddaughter, Sophie, finds me and joins the dance, and I spin her round and round with five-year-old Mary, for whom I am unofficial “Yia Yia,” and the circle is complete. Well, almost. My sons are off serving in the Army and Air Force and can’t be with us this time. But I find my husband, sharing a glass of wine with friends who have come from as far away as California for the wedding, and we share a toast to “every generation” and he takes me home, with my shoes in my hands. Later we look at pictures from our own wedding, thirty seven years ago, and smile because the father of today’s bride was one of our groomsmen… in 1970. You know, when you “stand up” for someone (serve as a bridesmaid or groomsman) at their wedding, it’s supposed to mean something more than getting dressed up and posing for photographs. It’s supposed to mean that you pledge to be there for them, to support them in their marriage. We’re still together… thanks in a big part to friends who stand by us. So now I’m thinking about other weddings… weddings where I stood up for someone and promised to be there for them. I’ve kept up with most of them, but to my shame, not all. Maybe I’ll look up the ones I’ve lost touch with. What would I say if I found them? >Yesterday I started working on a personal essay for a magazine that sets a theme for each issue. The issue I’m submitting to is about “Creativity,” and the guidelines mentioned “your Muse” in its list of suggested sub-themes. It set me to thinking about the various areas of my life and who/what inspires me in each of them. hmmmm…. I could write about my spiritual life, but how could I do justice to Saint Mary of Egypt (my patron saint) and my Guardian Angel and the countless others who strengthen me in the battles of life… in under 1200 words? 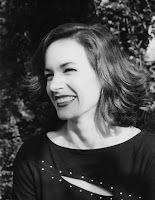 I could write about “the writing life,” and enumerate my muses, living and dead… those who set the bar for painting with words (like Flannery O’Connor, Harper Lee, Pat Conroy) and fellow fledglings like me, who can barely even see the bottom of the bar. Fellow writers I’ve met at conferences and workshops are certainly among my muses, (a few of us are starting the Yoknapatawpha Writing Guild with monthly meetings in Oxford) as are the early readers for my current project. Of course there are other kinds of muses that inspire me to write every day: friends who are fighting tremendous personal battles; children who throw themselves at life with abandon; sangria sunsets on favorite beaches; blue glaciers (yes, blue) in Alaska; song lyrics born of young hearts on fire and old souls still aflame. All inside a personal essay? hmmm…. I could write about the ancient tradition of Byzantine iconography, and the pious iconographers who have carried the torch from the Holy Apostle Luke, who painted the first icon (of the Mother of God) up through my favorite contemporary iconographer, Photios Kontoglou. But again, under 1200 words? Or … I could write about something a little closer to home. A little more earthy. Like the Mixed Bag Ladies. Notice there’s no link to the MBL? That’s because we don’t have a web site or a blog or anything. We’re just a group of artists who work in various media and share a love for the beauty of God’s creation and the joy of exploring ways to invoke a response to that beauty. Or sometimes it’s a response to the shadow side of life… to the brokenness that is often an important part of the art we create. The gr oup was started by my friend, Julie, who teaches art and is working on her MFA at Memphis College of Art. Julie hosted our first gathering in July, and encouraged each of us to bring something to work on. Sue, who was a fine art major in college and has continued to study classical realism, brought an oil painting of a scene by a lake in Arkansas, one she started when we were at a friend’s lake house together. Jenna, who also teaches art, brought an acrylic portrait she was working on. And Julie alternated between reading to us from books on art and creativity to working on a pot at her wheel. I took a poem I had recently written, “Wide Margins,” and illustrated it with gouache and watercolor marke rs. Our working name for the group is “Mixed Bag Ladies.” So, once a month as we gather, these gals are definitely my muses. We also enjoy wine and music and laughter and encouragement… all good soul food for artists and writers and… well, people. I still haven’t decided what to write about for the magazine, but I’ll let you know when and if it’s published. In the meanwhile, I hope your own muses bring you joy and inspiration as mine do. Orthodox Christians don’t use rosaries for our prayers as Catholics do. We use prayer ropes. But I think the idea is similar. As our fingers slip between the knots and move prayerfully from one to the next, our hearts find the rhythm: Lord Jesus Christ, Son of God, have mercy on me, the sinner…. or simply: Lord have mercy, Lord have mercy, Lord have mercy. The Jesus Prayer, which has power to bring peace, courage, clarity, calm… all those things we need as we move about in this world so often full of unrest, fear, confusion, and storms. I have a dear friend, Sue, who is a fine artist and a budding poet (and one of my early readers for my novel and short stories). She and I often explore the connections between our spiritual lives and art. Tuesday we met for coffee and tea and she brought me some quotes from the Austrian poet, Rainer Maria Rilke (1875-1926). 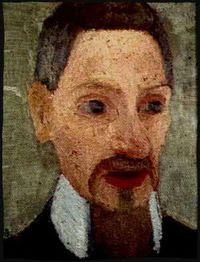 Why Rilke? In addition to his poetry, he wrote letters to his wife, letters to a young poet, letters about the artist Cezanne, and more. He raises the bar for all of us who aspire to embrace life fully, not only its joys, but also its sorrows. My friend knew that I was struggling with embracing sorrows, and the loneliness that often camps out on the hearts of artists and writers. Her gift to me was timely. I’ve been writing poetry again, which is always a wakeup call to my soul that something’s stirring. 1. He was the author assigned to critique one of my short stories, which I’ve already edited, with his help, and sent off in hopes of finding a home in one of several literary publications. 2. Before the workshop, I purchased and downloaded two of his Amazon Shorts, “The Willisburg Stage” and “Appearances” and read them both in order to get a sense of his style. They were both great! I’ve already ordered another, “Midnight,” and of course I purchased his book while we were at Pentimento bookstore in Clinton during the conference. 3. John led one of the workshops I attended at the conference, on “Writing Short Fiction,” and boy, did he pack a lot into one hour! 4. We ended up sitting across the table from each other at the final dinner at Scrooge’s in Jackson on Saturday night, sharing lots of laughs as we wound down from an intense conference. SC: I’m wondering when and how and why an engineer got started writing short stories? SC: You also teach a writing class at Millsaps College in Jackson, Mississippi, right? How long have you been teaching and how did you get involved, what’s it like and so forth? JF: Yep, I’ve been teaching writing courses in the Adult Enrichment Program at Millsaps for six years now. I got started when novelist Jim Fraiser, who used to teach there, talked me into it. It’s actually great fun for me, and I’ve met some interesting folks. My former students include physicians, lawyers, cops, professors, bankers, published authors, accountants, judges, psychologists, journalists, truckers, artists, programmers, ministers, TV anchors, chefs, nuns, and many more. How’s that for a cross-section? SC: Any advice to aspiring short story authors? JF: My advice to any aspiring author would be this: Don’t get discouraged. All writers get rejections, and the trick is to not let them get you down. A quote I like is that “a professional writer is just an amateur writer who didn’t give up,” and there’s a lot of truth to that. I once heard it said another way, too: Writers have a high attrition rate—so don’t attrit. Lee Smith did a reading and Q & A about her latest book, On Agate Hill. I’ve enjoyed Lee’s books for years, and it was inspirational, to say the least, to hear her and chat with her. Beth Ann Fennelly read from her latest book of poetry, Tender Hooks. I met her outside the Cook Convention Center at her autograph table, and ended up buying about 6 copies of her book for myself and a few friends. Little did I know that she would be one of the faculty for the Yoknapatawpha Summer Writers Workshop at Ole Miss in June (another life-changing event for me.) I’ve always loved poetry (reading and writing it) but she took my interest to a new level. And her craft talks at the writers workshop in Oxford were amazing. She encouraged me to try to bring the poet’s rhythm to the writing of prose. sigh. And what did I do? That very day, I went to High Point Coffee on Union Avenue and began writing my novel. I gave it a name, outlined the eight chapters and the main characters, and jumped right in. In two months, the first draft was done. With the help of some wonderful first readers and a talented freelance editor, I’m hoping to have The Sweet Carolines ready to send out to agents by the end of the year. You know, I might have gotten around to this eventually, but I owe so much to Sandra, Beth Ann and Lee for their inspiration. My debt to you ladies is big. And to Winnie-the-Pooh. Feeling stuck? Read a Sustaining Book and be comforted! Keetha Reed guessed #6, which is a good thing since Keetha was also a participant at the recent writers workshop and hopefully had read keynote speaker Joshilyn Jackson‘s best-selling novel, Between, Georgia. It’s a joy to have three of my icon students painting with me in my studio all day today and tomorrow. Laura, Kathy and Charles – I’ll put the coffee pot on first thing in the morning! For more information about commissioning an icon or taking a class, just send me an email at susanmaryecushman@yahoo.com. Claire Van Drimmelen from Memphis (top photo) and Anne Marie McCollum from Nashville and Daniel Root from Madison, Mississippi (bottom photo) work on icons at one of my recent workshops at St. John. Thanks for stopping by – please leave a comment before you go! In the three days since I’ve been home from the writers’ conference in Mississippi, no less than three people have told me I’m more than a little wired. Even my cat Oreo has picked up on my buzz, following me from room to room, hopeful that I’ll settle down and hang out with her again soon. Finally I moved her special “stool” into the office near my computer so we could at least feel eachother’s vibrations. Oreo is either 18 or 19, I forget which. Here she is with Baby Oreo who isn’t real, and who now lives with my mother in an assisted living home in Mississippi. Baby Oreo has a battery inside and when you pet her tummy it moves up and down like she’s really purring. I know, it’s pretty scary, but my mom loves cats and she’s allergic to them and her apartment is tiny and this way there’s no smelly kitty litter or holes scratched in the furniture or food to buy or anything. No, she doesn’t talk, but I guess you get what you pay for. By now the observant reader is wondering what Oreo has to do with “First Impressions.” I can’t think of a thing right now, but I’ll get back to you on that later if I do. So … just for fun I thought we’d try something. I just pulled six books off the shelves in my room and I’m typing up their “first lines” below. 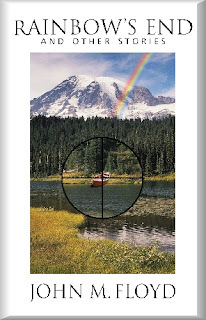 If you think you know the book or the author, send your answer in a comment. No Googling the phrases, guys –you’re on the honor system here. Whether you’re a writer or just an avid reader, you can think about how/if they hook you. And … I threw a couple of wild cards into the mix (from my own works in progress) just to make it interesting. Can’t wait to read your comments–just number your answers like the quotes.